Umut Bulut’s Father Killed In Ankara Attack: Umut Bulut, the striker of Galatasaray lost his father in the Ankara bomb blast recently. Umut’s dad killed in the suicide bomb attack on Sunday. 37 other people died in it as reported by the local authorities. 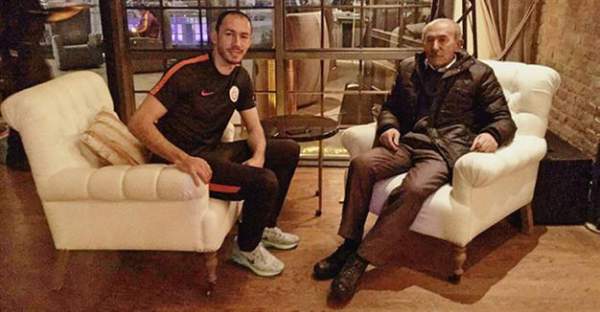 As per the reports, he received the news of his father [Kemal Bulut’s death] at the time of his morning training schedule in Istanbul. After having received the news, he left for Ankara. In Ankara, a car bomb exploded on March 13 and claimed at least 37 lives. The accident took place near a crowded bus stop in the Kızılay district of central Ankara which left more than 120 injured and 15 in critical condition. A club statement read: “Our capital was shaken by the fatal attack on our capital yesterday evening which targeted innocent people and we have once again been devastated by the news we received this morning. Some reports have been received that the suspect of Ankara attack has been identified as a female member of the PKK terrorist organization. She has been named as Seher Cagla Demir. However, the investigation is underway. Two suicide bomber, a man, and a woman, are thought to be behind the attack. Galatasaray is next in action when they meet arch-rivals Fenerbahce on Monday. Stay tuned for the latest news across the globe.